If you’re still using Windows Live Mail as your email program, you need to be aware that Microsoft support for this program ends on January 10, 2017. This means that there will be no more security updates – so when security problems are discovered, they won’t be patched. Translation: it’s time to go to an alternative. You know the email program that lots of people really loved? Outlook Express. It was easy to use, didn’t have a lot of confusing bells and whistles, and millions of people used it. Unfortunately, it ended with Windows XP. But Microsoft offered a replacement, which was Windows Live Mail. It worked pretty similarly to Outlook Express so a lot of people made that switch. So after January 10, 2017 you won’t be able to download those from Microsoft and install them on your computer (though there are other ways to get them if you really need one or more of them). That may not be important to you, if you already have Windows Live Mail installed (so you don’t need to download it again anyway). But what IS important is the fact that Microsoft will no longer be supporting it from a security standpoint. New security holes are discovered pretty regularly in all software, particularly programs that are in such wide use around the world as Windows Live Mail. But now, instead of patching those security problems, they will just be left unfixed – and ripe picking for hackers to exploit. That’s not good in any software, but it’s especially dangerous in an email program. So if you have to stop using Windows Live Mail, what are your options? Well, there are a few. First, you could switch to a web-based email such as Gmail. Or even Outlook.com (formerly Hotmail/MSN/Live). On any web-based email service, you can log in to your account from any computer in the world and get your emails, see your contacts list, and of course send and receive messages. Web-based email has become extremely common since people see how easy it is, and the fact that it doesn’t require a special “email program” (such as Live Mail) to be installed. Second, If you’re using Windows 8 or 10, both of those come with a “Mail” application that’s built in to the operating system. Frankly, I have not used that Mail app for either Windows 8 or 10, so I really can’t say anything good or bad from personal experience. I’ve heard from some reliable sources that both are pretty good, and other people have told me they’re awful. But at least it’s an option, if you really need an email program. Third, if you have Office 365 (or an earlier “Business” version of Office), you might consider using Microsoft Outlook. I’ve been using Outlook for years and I like it. You should keep in mind that Outlook has LOTS of features that you will probably never use. It’s designed so that the busiest professional person can use it for a thorough contact list, email communication, and a full-featured calendar system. But you don’t have to use all that it offers if you don’t want to. Just set up your folders, keep your address book, and send and receive emails. In that way, it works fairly similarly to Windows Live Mail, so the learning curve isn’t too steep. And finally, you could just go out and get one of the third-party email programs that are free to download and use. Probably the most popular one in this group is Thunderbird (created by Mozilla, the same people that give us Firefox). I have a few clients that use Thunderbird, but personally I’ve never really been a big fan of it. Can’t really say anything specific against it, just that I didn’t find it to be very intuitive when setting up an email account. But you might like it, who knows. So those are your options. 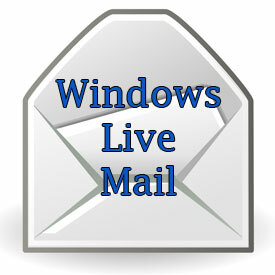 One thing to note – Windows Live Mail isn’t just going to stop working on January 10. You will still be able to send and receive emails just like you already do. But as more time goes by, it will become less and less safe to use. So don’t procrastinate in finding another solution. I do computer repair here in Safety Harbor, Florida and I’ve been in the computer repair business since 1999. I also work with clients all over the country (through remote access) so wherever you are, I can probably help!